Do you have an oxygen concentrator that you don't need or use anymore? We have the perfect solution for you! 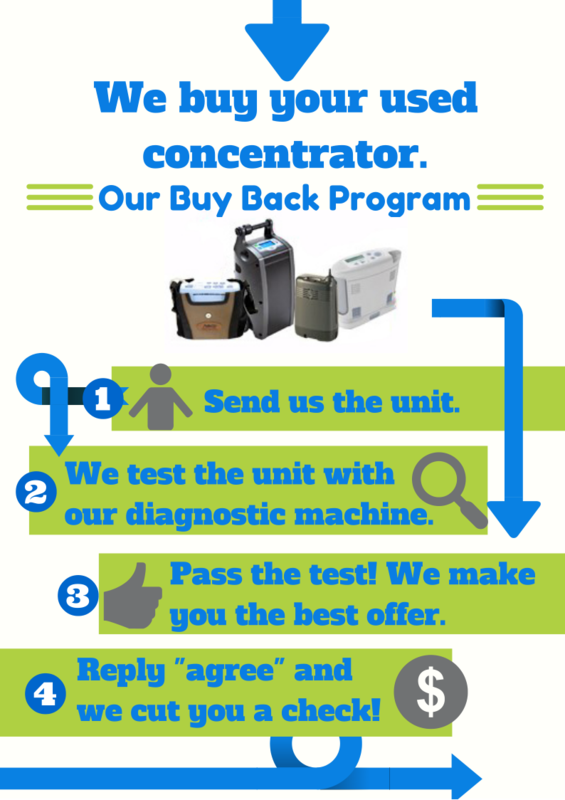 As one of the only companies to offer a Buy Back Program, we gladly buy used concentrators back from oxygen patients, their family members, and friends. Our offers aren't gimmicks, they are straight up cash offers! Fill out the form on the right or give us a call at 1-800-520-5726 to request a quote for the concentrator you want to sell! Don't be left with something you don't need or don't use! Give us a call to request a quote and get paid for the concentrator that's just collecting dust at your house!